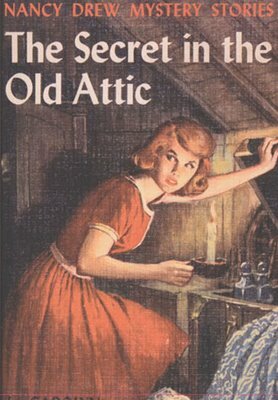 Should young teens read book reviews? This was a first: today I was tempted to hide The New York Times Book Review from my 14-year-old son. 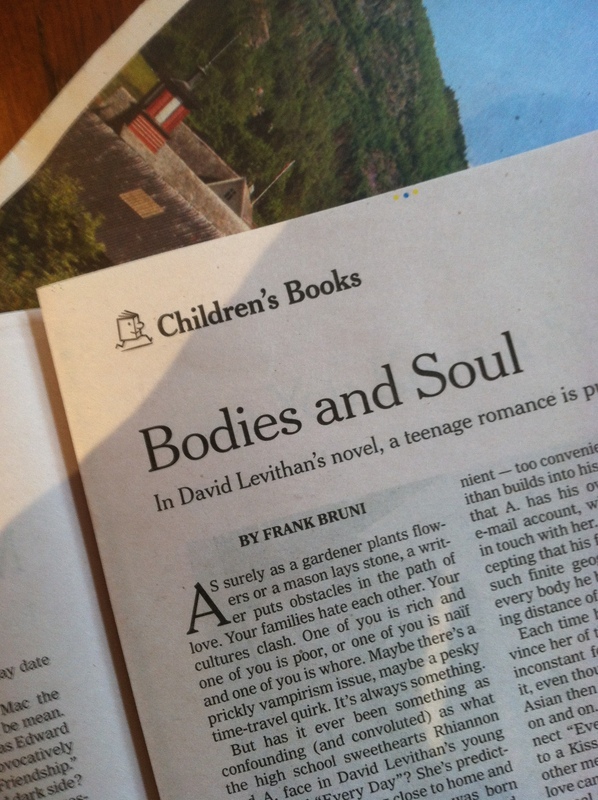 On page 14, Frank Bruni reviews Every Day, David Levithan’s new novel for young adults. Bruni gave the novel a mixed review, finding it poignant but occasionally heavy-handed and far-fetched. He did concede, however, that the issues it explores — about love and its powers to transcend external beauty, race, gender and the logic of physical reality — are particularly relevant to teenagers. So why don’t I want my son to see the review? Because he loved the book. He was given an advanced reader’s copy by the owner of our local children’s bookstore and returned from camp declaring it “the best book he’s ever read.” I don’t want the critique of a middle-aged man to dampen my son’s sheer joy at reading this book. Or any book. I love helicopter parents. I really do. Every time I read about a mother hiding behind the bushes with binoculars during her daughter’s college orientation or pleading with a potential employer on behalf of her son, I become a better parent. I may not have a vision of the kind of parent I want to be, but I know exactly what kind of parent I don’t want to be. In the last chapter of “Teach Your Children Well: Parenting for Authentic Success,” Madeline Levine’s ubiquitous new book about the dangers of over-parenting, there are all sorts of suggestions for being better parents. But the odds that I’m going to write out my family values and tape them to the refrigerator door are even worse than the likelihood of my 14-year-old son coming downstairs to tell me that he just finished all his summer science work and would like to take out the garbage. I know I should emulate good parents, and take advice from people like Levine. I’m just not inspired to. But tell me in disdainful detail about the parents who jumped the rope at an Easter egg hunt to make sure their children got enough chocolate eggs and Marshmallow Peeps and I will not only raise my eyebrows but will listen, reflect and work harder to correct my own meddling ways. It’s easy to scoff at extreme helicopter parents, but with a little honesty, we might see a little reflection of ourselves in their hovering behavior. So as my boys prepare to start 7th and 9th grade, I would like to thank the parents who I am trusting to shine the light on the path I vow not to follow. Thank you for staying up until 11 pm to put the finishing touches on the diorama that you your 12-year-old made for social studies class. Thank you for hiring a tutor to ensure that your 10th grader does not get another A- in Honors English. Thank you for talking about college with your middle school student, and insisting that he beef up his resume with a few more extra-curricular activities. Come to think of it, thank you for having a middle school student who has a resume. And when your 10th grader ends up on the bench in yet another soccer game, thank you for calling the coach to give her a piece of your mind. I assure you, dear helicopter parents, I will not mind when you take up more than your allotted five minutes at your parent-teacher conference — if, that is, I have the pleasure of overhearing you explain that it was really your fault that your son’s homework was late and that he shouldn’t be penalized. And please know that while I may shake my head at your mad dash to go back home and get the saxophone your child forgot to bring to school, I will remember your actions fondly when I am tempted to do the same. The bell is about to toll to start the school year. So lift off, good helicopter parents. Safe flight. I was raised to never, ever open someone else’s mail. And I don’t. Even letters to my husband or children that I know contain information that is really meant for me sit on the kitchen counter until their intended recipient gets home and opens the envelope. But electronic communication? Momma never said anything about that. And so I confess: I have spied on my children’s email, their text messages and Facebook chats. At first it wasn’t really spying, because I told them I would do it. I let my oldest son have a Facebook account just before he started middle school so that he could keep in touch with a best friend who had moved to Nepal. For nearly a year, his only Facebook friends were the kid who moved away, his mother and me. When my boys got a laptop to share, I told them that I’d do “spot checks” from time to time and that they could not close the screen or the computer when I walked into the room. The same rule applied to their cellphones and their texts. They didn’t really mind, because they were in that stage of development somewhere between having to narrate your every waking thought to your mother and refusing to tell her even the most mundane facts of your daily existence. And I didn’t spot-check often; life is too short to comb through how little a 12-year-old can say in eighty or ninety text messages with a friend. When my older son started sixth grade, I went to a lecture at the middle school on internet safety. The school social worker went over the general rules that parents should underscore with their children. She urged parents to learn about the most popular social media sites. And then she said that as children approach and enter high school, parents should not spy on their children’s texts or Facebook pages. “It will erode your child’s trust in you,” she said, adding that teens annoyed by being spied on will probably just create new social media accounts that their parents don’t know about. The email sounded great. The Huffington Post wanted to publish one of my pieces. In a section called Huff Post/50. To be clear, I am not yet 50. I know I am old in his eyes, but I am glad to know I am not yet decrepit. Truth be told, there are some great discussions underway at Huff Post/50. So although this may be a club that you don’t really want to belong to, please join me there anyway. You’ll find my article there, just below 5 Foods That Can Increase Your Libido.